The ruling All Progressives Congress (APC) yesterday kept sealed lips on the claim that operatives of the Department of State Services (DSS) quizzed its chairman, Adams Oshiomhole for allegedly collecting bribe from chieftains of the party during the recently held primaries. Spokesman of the party, Lanre Issa-Onilu explained that he was not in the know of any encounter between Oshiomhole and the DSS operatives in Abuja last weekend. “We do not have any information on this rumour. More so, the chairman is not around in the country to confirm or deny this. As soon as we have any relevant information, you’ll be updated,” he said. Issa-Onilu, however, admitted that Oshiomhole could not embark on his trip last weekend in view of the need to ensure that the party beat the November 2 deadline for the submission of names of candidates. 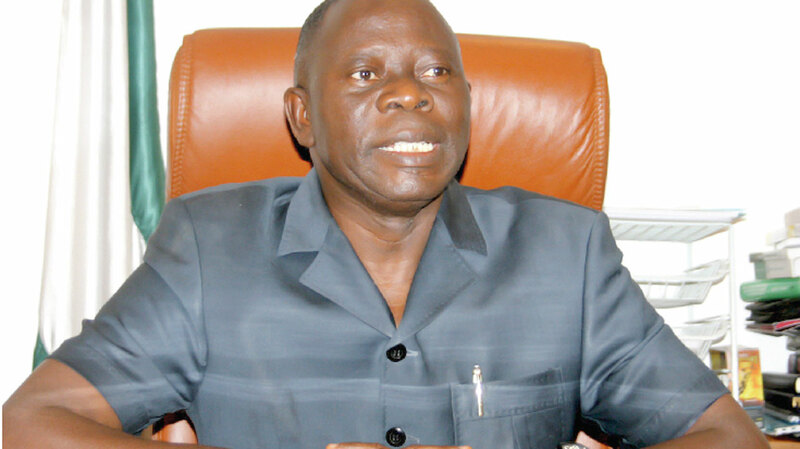 He disclosed that Oshiomhole eventually travelled out of the country on Tuesday this week. The spokesman responded to a report in a social media outfit that Oshiomhole was grilled by DSS operatives for nine hours last Sunday after some APC governors alleged that he received bribes from them during the party’s primary elections. The Oshiomhole-led national working committee (NWC) is at war with Governors Abdulaziz Yari (Zamfara), Ibikunle Amosun (Ogun) and Rochas Okorocha (IMO) over their inability to foist their preferred governorship candidates on the party. In its reaction, the Peoples Democratic Party (PDP) described as reprehensible, revelations that President Muhammadu Buhari is concealing the alleged bribery and corrupt practices involving Oshiomhole. The statement further reads: “Information available to the PDP reveals that Oshiomhole is facing charges of allegedly collecting billions of naira bribe from some ministers and other APC sources in Adamawa, Rivers, Kano and Imo states to manipulate the 2019 electoral process. The PDP said it had always alerted Nigerians of the corruption allegation burden on the APC chairman and the continued official cover provided for him by the Buhari presidency.